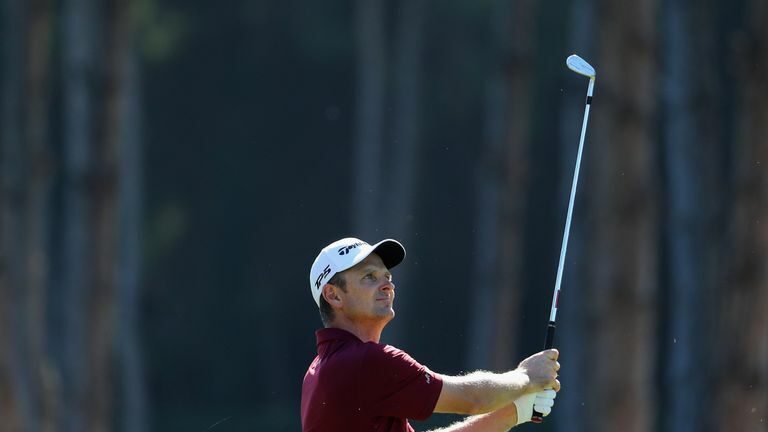 Justin Rose bolstered his hopes of back-to-back victories at the Turkish Airlines Open after grabbing a two-shot lead in Antalya. Rose, who will return to world No 1 with a victory, fired a second successive 65 to get to 12 under and move ahead of the chasing pack after another day of low scoring. A round-of-the-day 63 lifted Portugal Masters champion Tom Lewis into a share of second alongside Danny Willett and Thorbjorn Olesen, who held a share of the lead until a final-hole bogey. Starting the day a shot off the pace, Rose opened with an eight-foot birdie at the first and picked up another shot at the fifth to move into a share of the advantage. The Englishman followed a birdie at the eighth with a tap-in eagle at the next after almost holing his approach, but pulled his tee shot into the water at the par-four 10th and carded his only bogey. Back-to-back birdies from the 12th saw Rose reclaim a one-shot cushion, only for Olesen - playing in the group ahead - to follow a front-nine 30 with a six-foot gain at the 15th to join him on 11 under. Olesen lost his share of the lead when he made his first bogey of the week with a three-putt at the par-four last, where Rose rolled in from 10 feet to close a blemish-free card and double his advantage. Lewis had set the early clubhouse target after making eight birdies and falling one short of the course record, while Willett carded a six-under 65 despite missing a four-foot birdie at the last. Sam Horsfield is one of four players sitting three off the pace in a share of fifth spot, with defending Race to Dubai champion Tommy Fleetwood a further stroke back after a bogey-free 66.